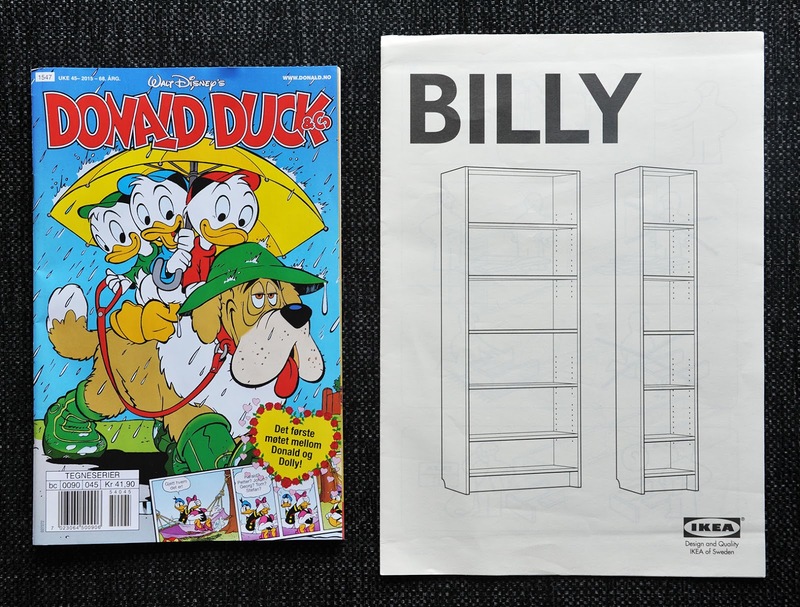 What do a Donald Duck comic and an IKEA instruction manual have in common? And now that I have the comic, can I get rid of the manual? 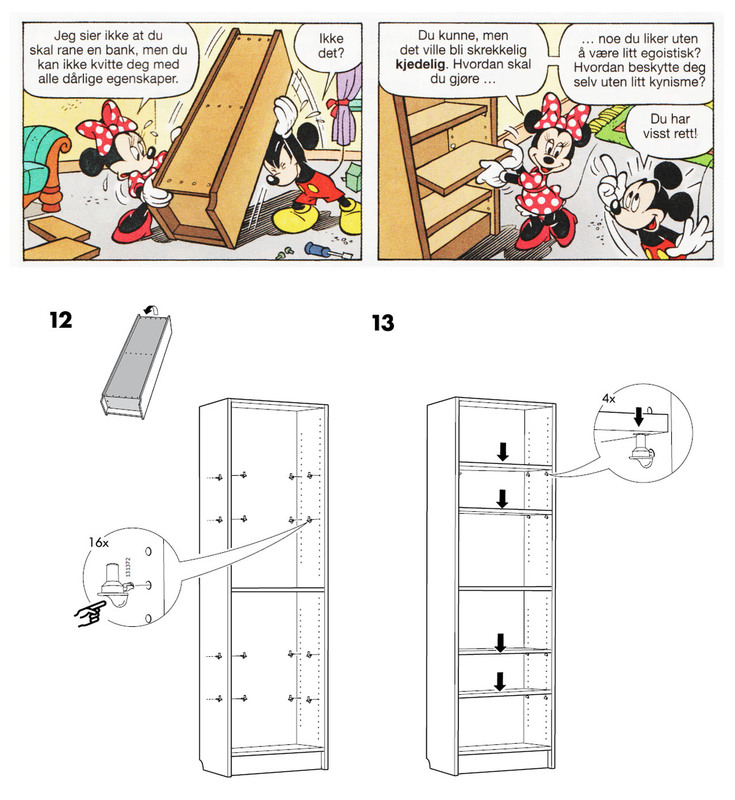 This week’s Norwegian weekly Donald comic has a story about Mickey and a magical mirror. 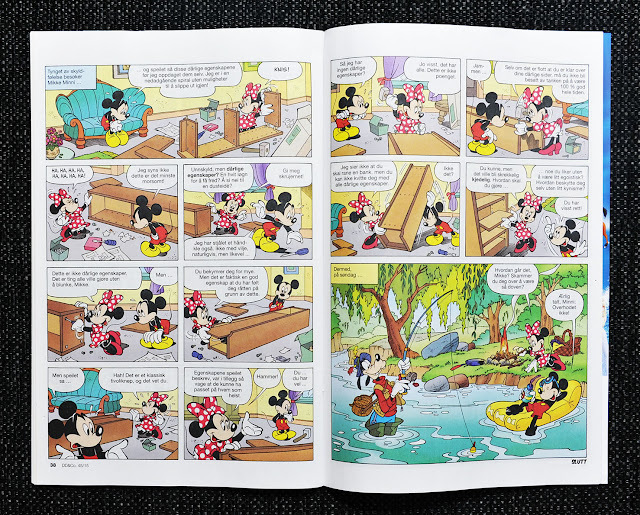 It’s written by Olaf Moriarty Solstrand and drawn by Massimo Fecchi. 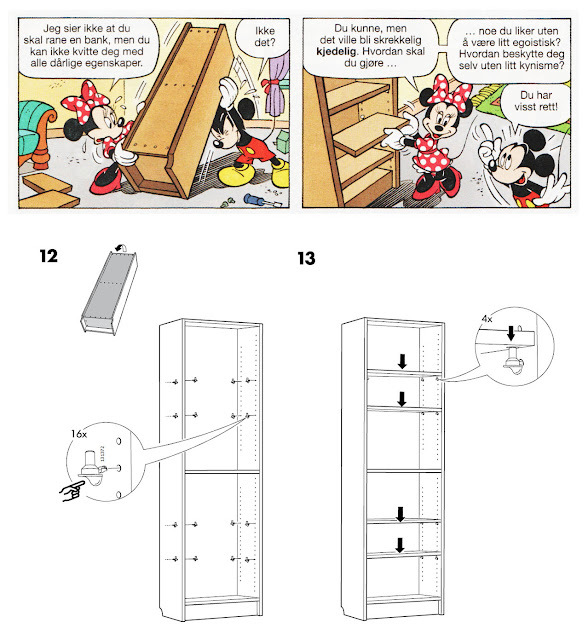 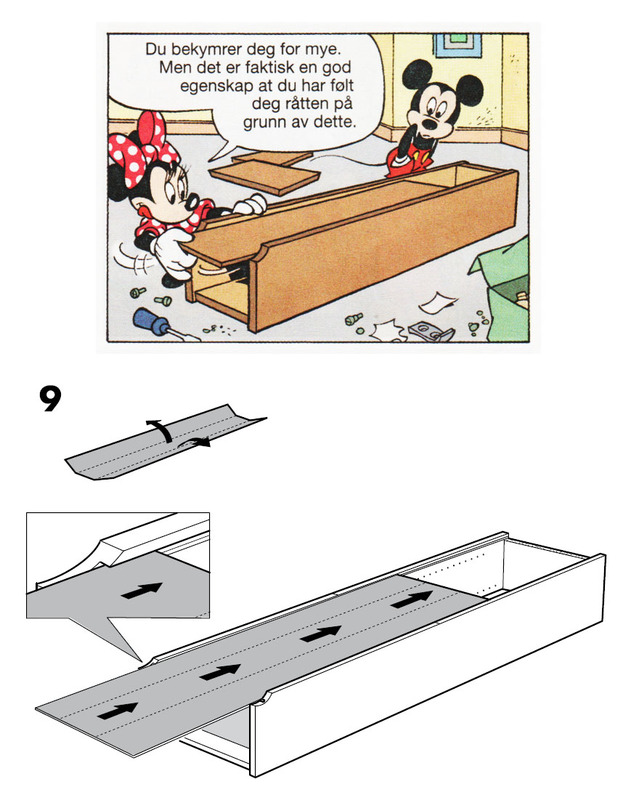 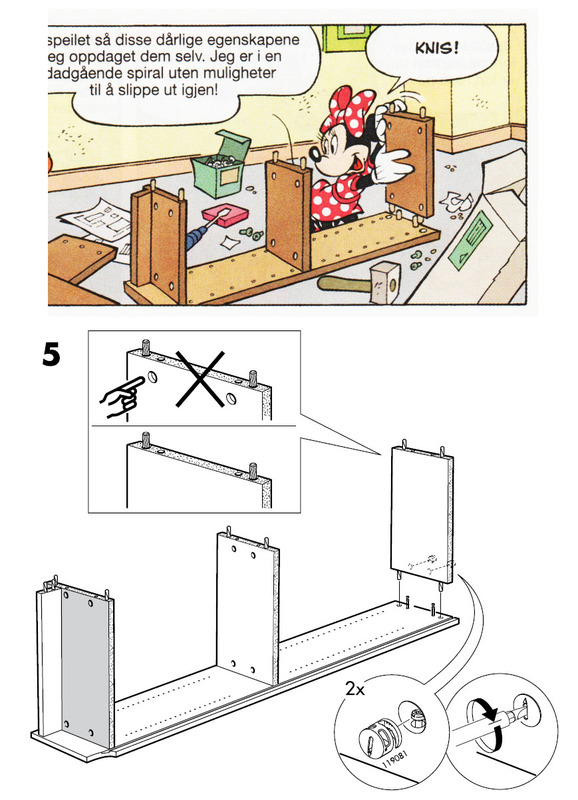 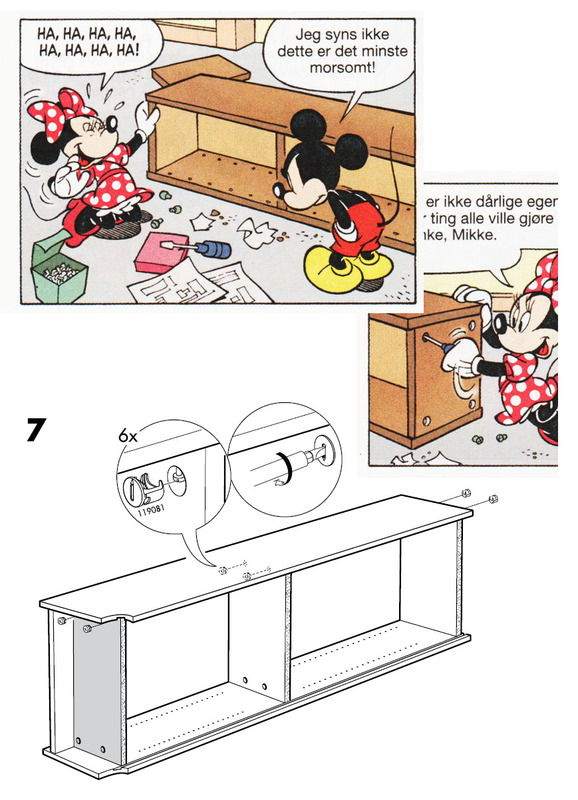 At the end of the story while Mickey is doing the yak-yak-yak, Minnie is busy assembling a bookshelf. 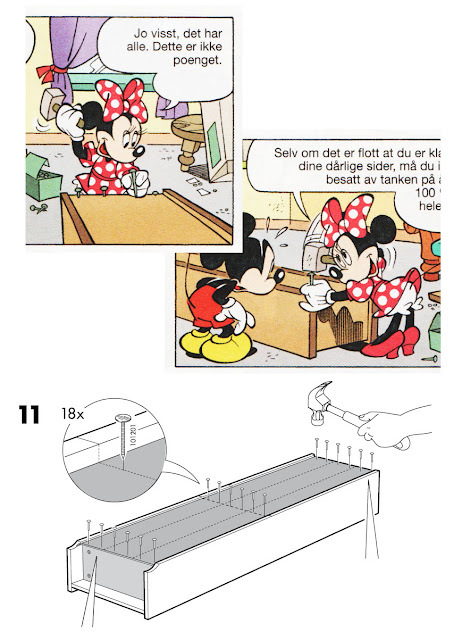 Distracted by Mickey, Minnie is about to put the top shelf the wrong way! But it looks like she figured it out.